HELP WANTED – NOW DIG THIS,INC. NOW DIG THIS, Inc. is a non-profit organization established by Jacques & Kimberly Lesure that seeks to nurture and preserve an appreciation of the arts, especially Jazz music. Throughout the school year Jacques Lesure will be helping to continue the legacy as he offers free concerts and lectures to schools and community events. Special presentations happened for Black History Month 2014 and now ,upcoming events are planned for Black Music Month in June 2014. Support the arts in schools and communities. I would like to offer a few words of encouragement and also dispel a couple of myths. Myth 1: “The Music”, “Jazz”, BAM or whatever you are inclined to call it, is in a critical stage. TRUTH: There is NOTHING WRONG WITH THE MUSIC. The problem lies in the hands of MANY of those responsible for the proliferation of the music. This goes for musicians, presenters, venue owners,writers and educators. The PROFESSIONAL world of this music feeds on itself. Its two favorite appetizers are “OVER EXPOSURE” and “UNDER EXPOSURE”. These two techniques are just part of several in which the hidden agendas of the ‘Professionals” are executed. Myth 2: The Hidden agendas are ALL malicious and sinister. TRUTH: Some of the agendas are deeply rooted in political and socio-economic beliefs systems. However, I would venture to say the majority of these agendas are EGO MANIACAL and SELF AGGRANDIZING. Its not REALLY about MUSIC as it is “LOOK AT ME” and being in control. Myth 3:Swinging is old and unmarketable. TRUTH: Not if you can REALLY SWING and REALLY MARKET. Its time out for the “reaction formations”. MYTH 4:Young people are not interested in the music and don’t understand it unless you mix THEIR music with it. TRUTH: Children are TAUGHT. They don’t understand algebra or the ABC’S until they are EXPLAINED and reinforced. One assembly a year during Jazz Appreciation Month is NOT ENOUGH.We need more ARTIST in Residence(NOT ACADEMICIANS)and more JAZZ MOBILE models. So in closing,those of us who play and love this music,lets stop the whining and realize how powerful WE really are. Stand up to the agendas. Stop playing yourself cheap(LITERALLY). Don’t be ashamed of the hard work you put in to play and understand the music. Also it is time for US to be the writers,presenters,and venue owners. Its time to put some money on the table and sign some leases and open some recording studios. We have some who have,but we need more. 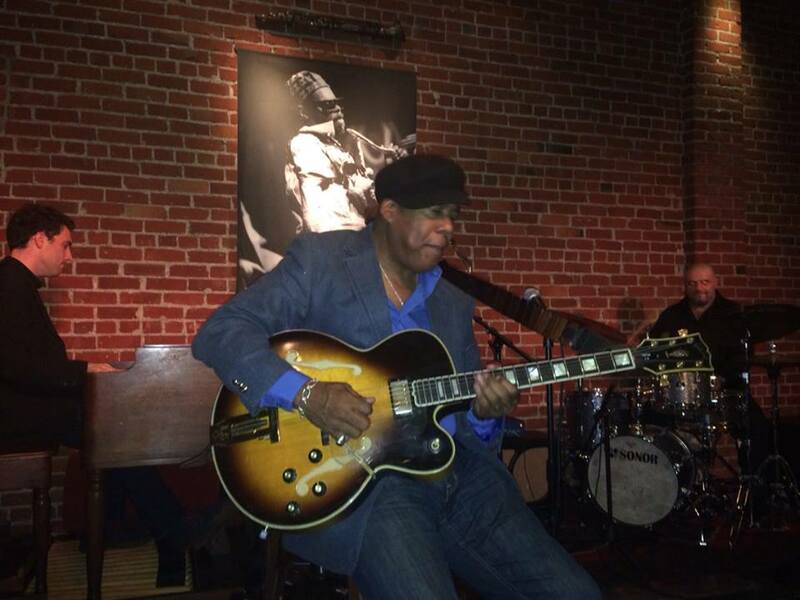 JAZZ GUITARIST, Jacque Lesure… Now on WJ3 Records featuring Willie Jones lll, Eric Reed, and Mike Gurrola!